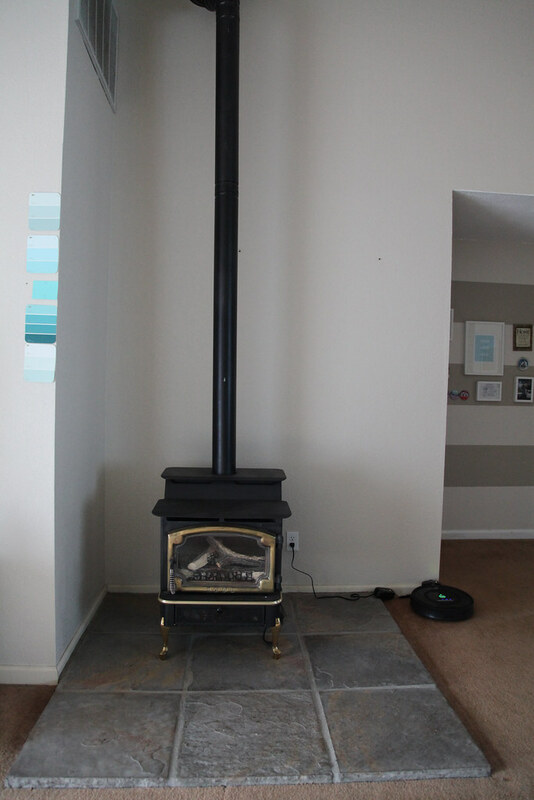 Originally we had a propane stove that we took out and sold shortly before we got our new floors. 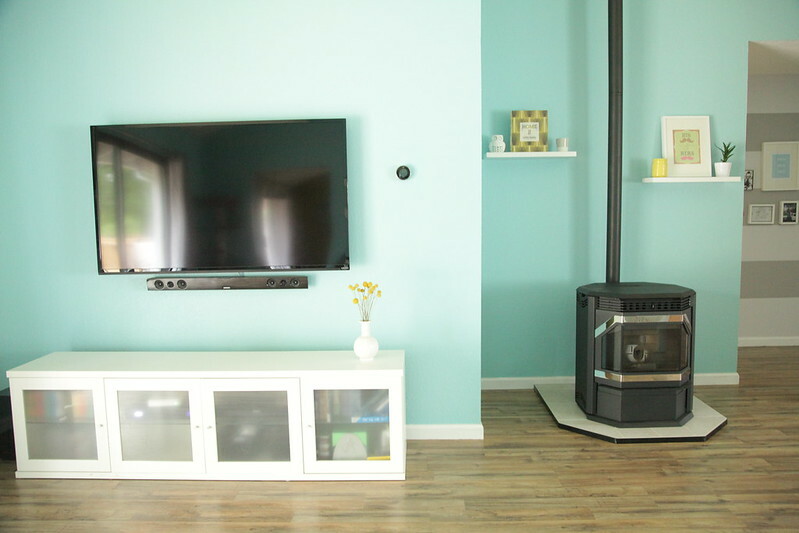 The last couple of winters have been very pricey when it comes to propane usage; our furnace is propane powered, so we’ve been considering low-cost alternatives to heating our home. Not to mention the old stove relied on the whole house thermostat, which happens to be right next to it, so if we ran the stove the rest of the house would freeze! 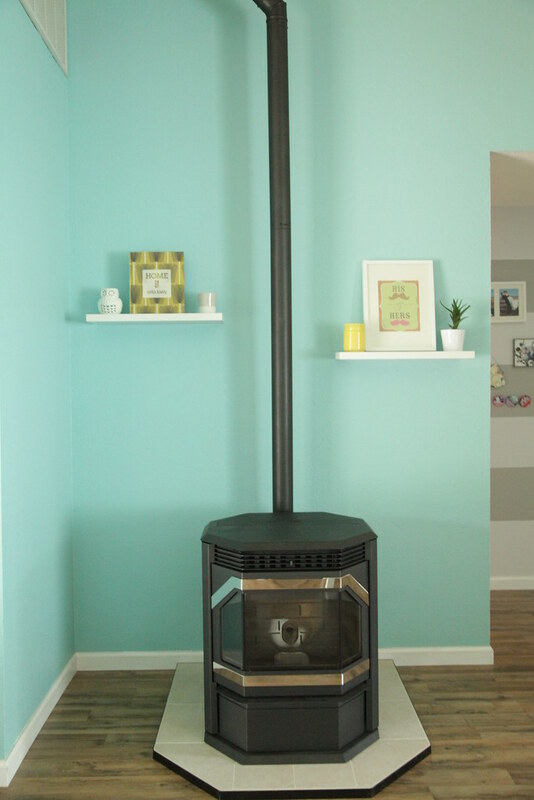 Growing up, my parents had a wood stove which they eventually sold in favor of a pellet stove, so I’ve been able to experience first hand the differences between the two. 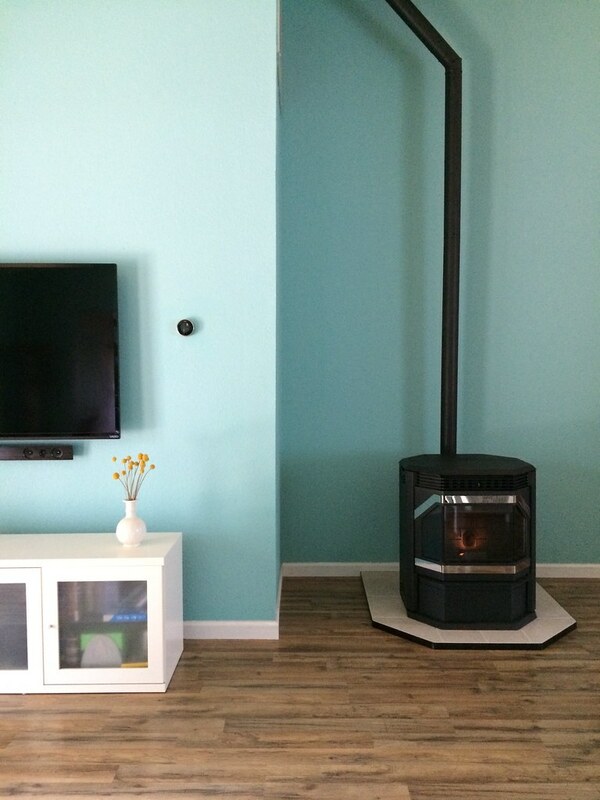 We went with a pellet stove because it’s cleaner, greener, safer, and puts out an amazing amount of heat. Plus purchasing ours during the time of year where people are thinking about air conditioners made our options more affordable. 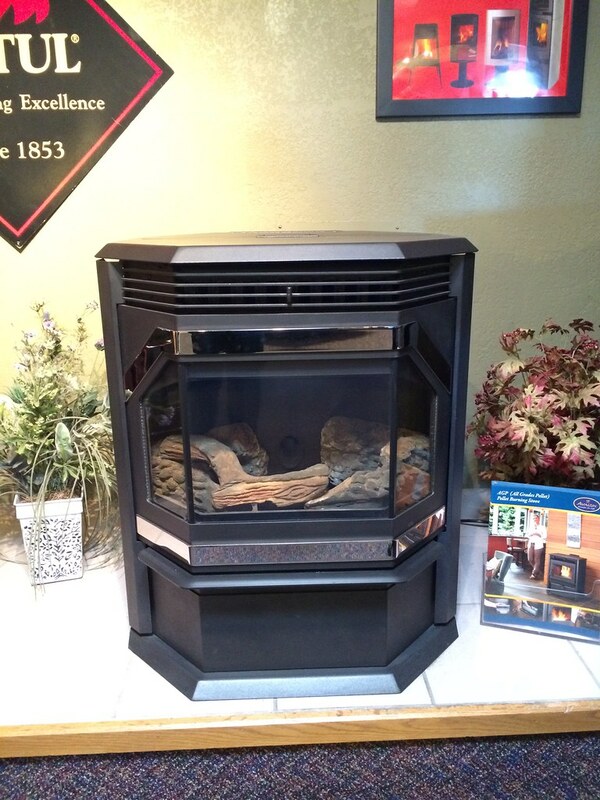 We ordered both our pellet stove and the pad that it sits on from a local place called Sierra Home Alternatives. 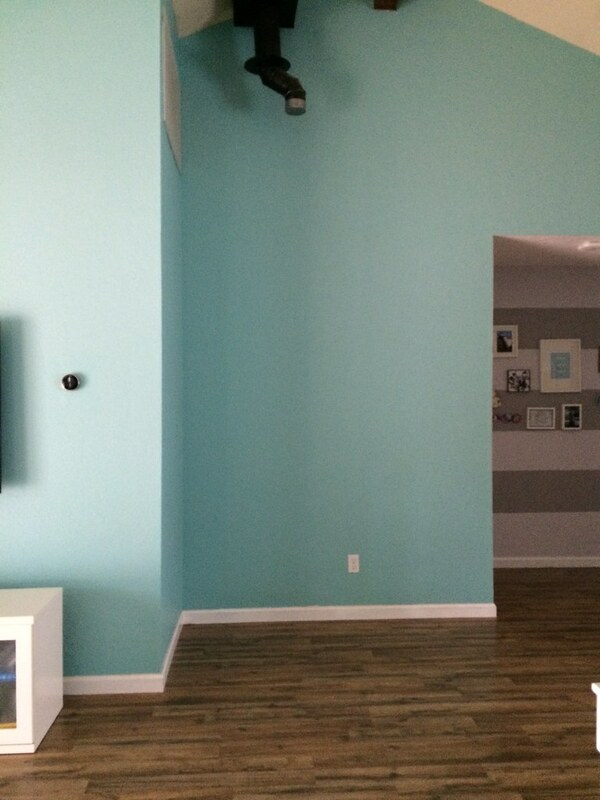 On Friday they did the install, and then on Saturday I went to Lowe’s to get some floating shelves for either side.